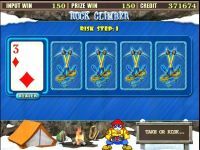 Game Rock Climber is a 5 reel video slot with the opportunity to increase the win in the risk game, and get additional wins in the bonus game. 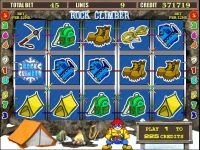 The main game - play, you can choose the number of lines from 1 to 9 and bid on the line from 1 to 25. 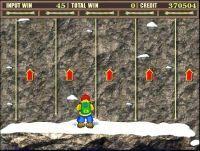 Three or more subjects in the same line give winnings under the table, which can be found by pressing the button HELP. 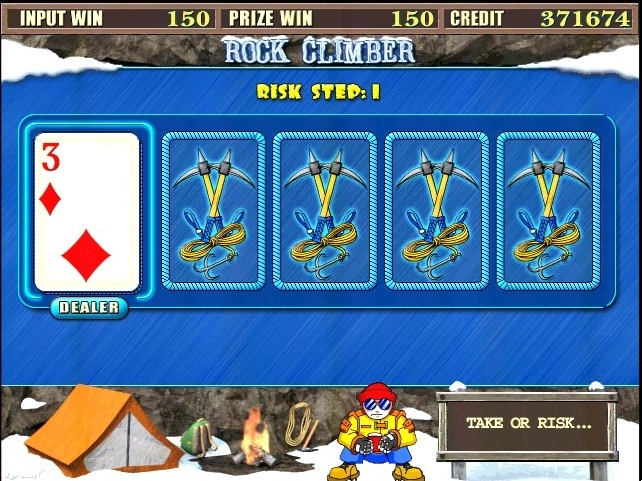 The risk increases-game winning 2 times at each step, at the opening of player cards more than card dealer. The number of attempts is displayed on the screen. The player may terminate the risk-win game and pick up at the opened dealer's card. 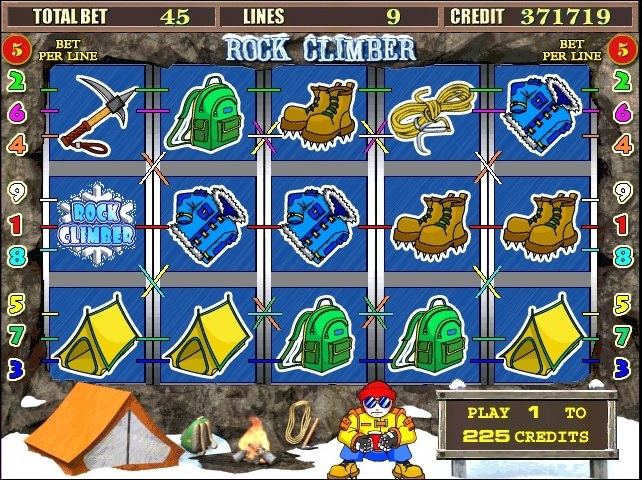 In a Bonus game the player choose the ropes in any order, on which the player wants to climb the mountain. 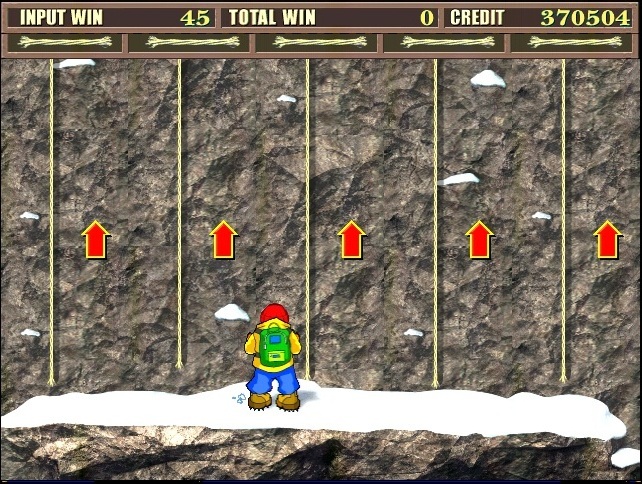 If the rope is not attached to cave, the player receives a prize. Otherwise, the bonus game is terminated. In case the player reaches the mountain tops, he gets super prize.